Kobiele Wielkie (Radomsko County) voj. Lodzkie. Flag adopted 29 June 2000. 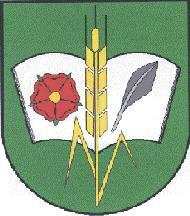 Source: coat of arms and Flags of counties, cities and villages of voj. Lodzkie.